Tyson Fury was castigated for the nature of his performance during his comeback fight against Sefer Seferi. 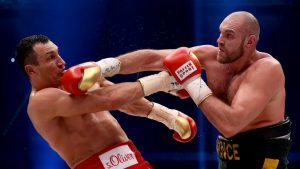 It quickly became clear that Fury was far too good for his opponent and, perhaps due to over excitement about his first fight after of over two years of inactivity, he couldn’t turn down the chance to showboat. Fury showed his class as soon as he began taking the fight seriously and Seferi retired on his stool in the fourth round. Next up was another easy fight with Fury looking much more business like as he went the full 10 rounds against Francesco Pianeta. Going the distance was a vital part of Fury’s return to full fitness and his team were happy enough with his showing in Belfast to confirm his participation in the mouthwatering fight against Deontay Wilder. The fight in the Staples Centre, Los Angeles is one of the most anticipated of 2018. 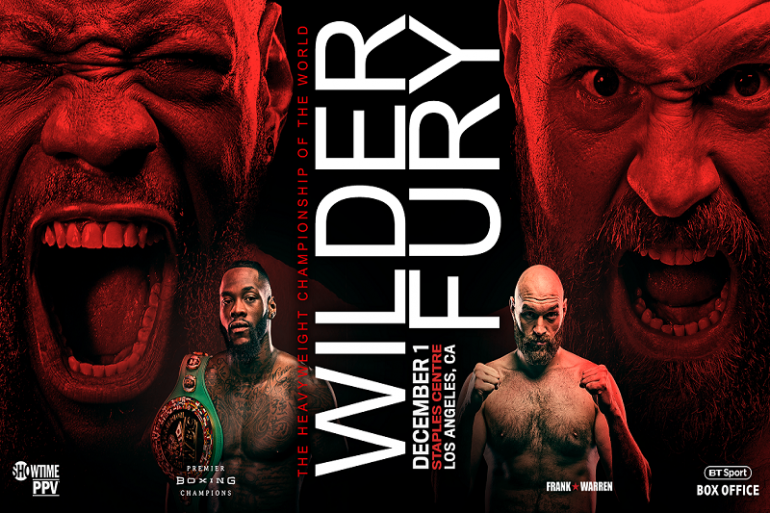 It gives Fury the chance to fight at world champion level against (Wilder holds the WBC belt) and undoubtedly represents the toughest challenge of Wilder’s career. The 33-year-old American has done some very good work in his career but he’s never faced anybody like Tyson Fury so could this be the night where his unbeaten professional record comes to an end? There is no love lost between Deontay Wilder and Tyson Fury. Deontay Wilder has come close to a heavyweight unification bout with Anthony Joshua a couple of times recently. For one reason or another the fight was never made so we don’t really know how good he is when fighting at the very top level. It’s fair to say that few boxing fans believe Wilder has the class to really challenge Joshua and yet the bookies make him the odds on favourite to beat Fury, a man who outclassed and outpointed Wladimir Klitschko to be crowned the lineal heavyweight champion of the world. There are, of course, some major hurdles for Fury to overcome. He has lost a huge amount of weight from the lowest (or heaviest) point during his enforced absence from the ring but questions about his fitness understandably persist. There are also many concerns about ring rustiness as neither Seferi nor Pianeta are anywhere near world class. And yet, when you look at the prices, it is hard to justify backing Widler at anything like 8/13. If this fight was taking place in Manchester or on the back of some more testing fights for Fury he would surely be much closer to even money. His unorthodox style makes Fury incredibly difficult to fight whilst some believe he is one of the most technically gifted heavyweights of the last 20 years. Given what’s come before, a win for Fury would be every bit as impressive as his victory over Klitschko in Germany. His destiny is very much in his own hands though and Fury must surely be too big to ignore at odds of 6/4 with bet365. Fury pictured landing a punch during his shock win over Wladimir Klitschko. The best chance that Wilder has of winning this fight is by knocking Fury out. The ‘Gypsy King’ is the sort of fighter who finds it easy to catch the judges’ eye whereas Wilder is less flashy if not quite workmanlike. To be fair to Wilder, he’s rarely had to impress the judges as only one of his 40 wins came by a decision. Packing enough of a punch to floor Fury will prove to be a massive challenge for Wilder. He may find it fairly tough just to land enough blows on the Englishman as Fury has amazing footwork and will have no qualms about tying Wilder up and slowing the pace of the fight down. If Wilder can’t knock Fury out it’s doubtful he can win the fight. Therefore, it’s worth taking a bigger risk with your betting by taking the 5/2 that Paddy Power are offering on Fury winning on points. The belief that Wilder will need to win by knockout is reflected in the Round Betting market where Fury winning on points is actually the shortest price selection. 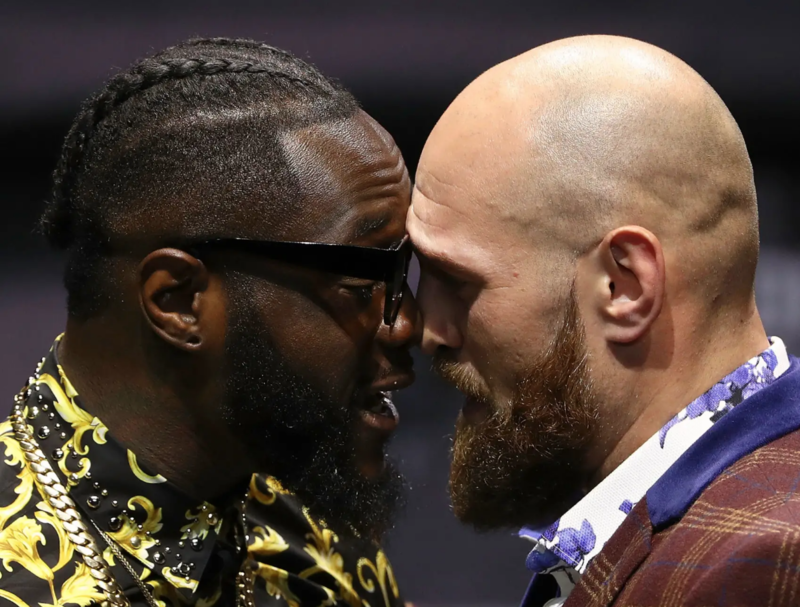 Wilder dominates the rest of the top of the betting though as the bookies clearly don’t believe that Fury will be able to land a knockout blow of his own. Many punters will fancy picking a round for yet another Wilder knockout but backing any specific round is a very brave call.